started April 1st 2016 through April 2017!! 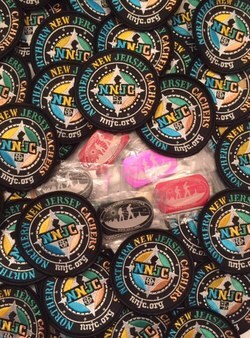 28 NNJC Patches are racing across the world to compete to see who will go the farthest, how many geocaches will they visit and be moved by how many geocachers. There will be a recap and prizes at the 3/6/9&12 month intervals. Congratulations to DisneyDork323 ~ Jen Kaufman for sweeping the TB Race!! TIME: 12:00 Noon until 3:00 pm Important: Please include how many in your party when you post a will attend, we must give the restaurant a head count by 12/7/15...No individual checks, only table check allowed. 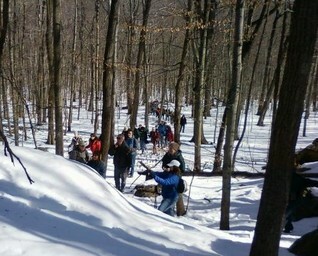 Optional Pre-event meet and greet/ holiday hike.To carry on the CTTS tradition (for those who would like to participate), this optional pre-event meet and greet/hike will take place at Hacklebarny State park, Long Valley, 119 Hacklebarney Road, NJ 07853 Come join in the holiday spirit just as we meet along the scenic river picnic area. A short hike from the parking area at N40 45.014 W074 43.764 from 10:00 am-11:30 am. HOLIDAY COOKIE EXCHANGE!Please bring and enjoy some NNJC cheer, lets sample your favorite Holiday cookies hot chocolate, hot cider or coffee to exchange with your fellow Geocachers to enjoy at the pre event meet and greet. Everyone who post's a will attend log! receive the traditional NNJC Christmas Ornament. Everyone is Welcome to join The Northern New Jersey Cachers ( NNJC ) for the "G.O.N.E. Picnicking" 2016. This is the 12th annual Geocachers of the North East ( G.O.N.E. ) caching event. This year's theme is "picnicking by the lake" We will grill and cookout. 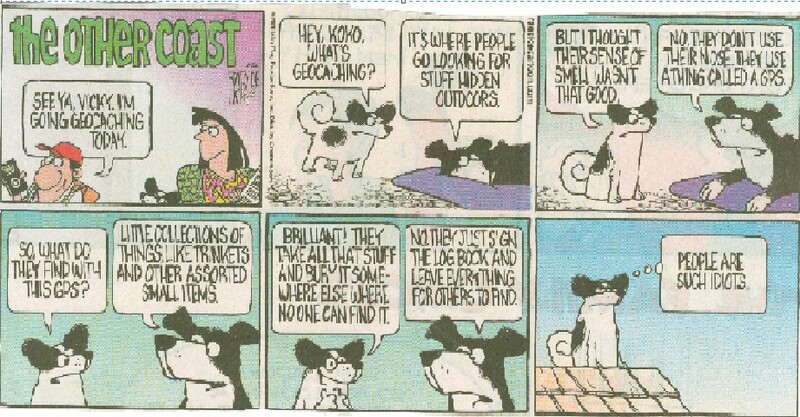 Have typical Geocaching discussion including the upcoming metro gathering event with all the volunteers. PLEASE BRING FOOD AND DRINKS TO SHARE ~ NNJC will keep the list of donated food for the picnic. Please post how many will attend and what you can bring to the picnic. 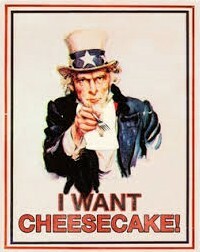 NNJC is requesting that cachers bring salads, desserts or drinks. Volunteers are especially needed from 10:00 am to 2:00 pm, but anytime between 9:00 am and 5:00 pm would be great. Please contact Eric Thies ~ Lati.dude or the "contact us" link to let us know if you can help. NNJC 2015 Calendars for sale!! Please support NNJC, your Geocaching club with purchasing the 2015 Calendar which is a fund raiser ($15) and offered to you just over cost. Then send in your photos to nnjc.org to make sure you are included in the 2016 NNJC calender! Please reserve your calendar today, help the fund raiser by posting here or NNJC's First Monday's cache page or website too. Thank you. the Wallisch Homested home page Here for info as outlined below! Please mark you calendars for MAY 10th 2015 as we hold our annual Spring Picnic and Great Swamp Scavenger Hunt event! This always a very fun event as we partner with the great Swamp Watershed Association (website) to participate in a festive day! We will again hold this event at the pavilion located at the Great Swamp Wildlife Refuge. The cache page and details will follow soon! This is a pot luck picnic and we need lots of food contributions! Please contribute! Don't forget to pick up your beautiful; Pathtag! Everyone who attends the event and logs it online earns this year’s 2015 CITO souvenir for their Geocaching profile. NNJC has partnered with The Great Swamp Watershed Association for various events, from C.I.T.O, trail maintenance, boardwalk construction, Kiosk building to the Halloween Fright hike event. This partnership benefits many, from GSWA to maintain their trail system for many educational programs, geocachers, hikers, birders, town folks and dog walkers. The GSWA's Conservation Management Association (CMA) Property is approximately 50 acres, all with trail traversing through the marsh and woodlands, with bridge's crossing the Silver Brook and boardwalks above the marshland. The work will involve, hiking the trails to remove any trash, removing any flotsam from the Silver brook and connecting streams, placing wood chips on the trail, clipping, removing debris from the tread way, and raking. Work gloves, metal spring rakes, long handle loppers, pruning clippers, metal rakes, and plenty of water. SATURDAY APRIL 25th ~10:00 AM to 2:00 PM, ANY AMOUNT OF TIME YOU CAN GIVE IS MUCH APPRECIATED! Please feel free to bring along some lunch for yourself or any beverages or food and snacks to share with you fellow Geocachers! There is a possibility that some new caches may be placed in the park, which you may be able to find once they are published. You are welcome anytime to offer any assistance. If you are coming late, post your eta the day before so we have an idea of attendance. Come out and join The Northern New Jersey Cachers, NNJC as we kiss the Blarney Stone and celebrate St. Patrick's day at "Kiss Me I'm Irish" Meet and Mingle at Thatcher McGhee's Pub and Eatery. Enjoy a bit of Ireland on this day when everyone is Irish. Come and share your Irish stories with your fellow geocachers of seeking caches through fields of four leaf clover, looking in stumps for that elusive pot of gold, how those little leprechauns were playing tricks with your GPS's while looking for caches and then finding a colorful rainbow as you spotted the cache!. TIME: 5:00 PM - 8:00 PM ~ In the pub area, seating is limited! Mark you calendars for these upcoming events hosted and promoted by your NNJC. These dates are tentative and all members should go to nnjc.org or our FB page to find the latest information and date changes. Fall season is upon us with lots of folks enjoying and exploring the scenic fall colors in many areas. 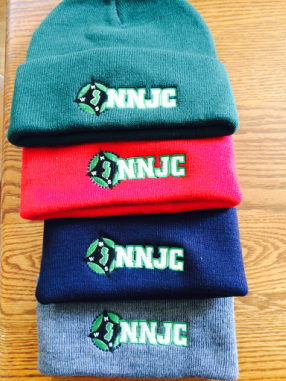 NNJC is still working to bring you many outdoor events! We continue with our "JFF" (Just For Fun) events and new SUDS events hosted by Ranger Lynn. We are working with CJC to bring the FIRST MEGA event to NJ, via the new Metro Gathering Event to be held November 15th. But first we are hosting our annual Halloween Fright event on 10/25. We hope to see you at these events! After 10 years in Sussex County, we decided to move the event into Morris County for a change of location. Perhaps you can guess where the pre hike will take place? The Pub event will take place in Morristown NJ. Come to the "Trunk or Treat" everyone has candy in their trunks and kids (or adults acting like kids) can trick or treat, Please bring some Halloween Candy and treats to share! Please bring along cider, donuts, goodies too! 2) Jack-O-Lantern contest ~ Bring your creativity! Maybe we'll do a fire pit too! Click in the link HERE for the Geocache page! 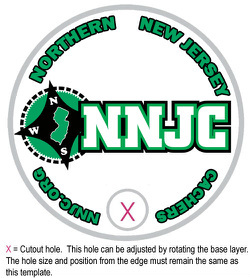 The Northern New Jersey Cachers ( NNJC ) will host The 10th annual Geocachers of the North East ( G.O.N.E. ) caching and camping event. This year's theme is "Camping Fun"
Everyone, NNJC MEMBERS AND NON MEMBERS are welcome to come join in the fun! You do not have to camp to come out and enjoy in the event. The G.O.N.E Event has become a geocaching tradition in Northern New Jersey for the past 10 years when it started in 2005 as a three day event. Geocaches for all over the North East have come and enjoyed this camping event. PICNIC MEALS: Dinner will be pot luck, Please bring food to share, and post in your log what you will bring! there are grills available to cook too. CAMPING: PLEASE REGISTER YOUR WILL ATTEND, THERE IS A $10.00 FEE TENT TO COVER THE PERMIT COSTS. Let's celebrate National Cheesecake Day 2014 with a smiley! Join your geo-buddies for a special treat! Meet & greet your fellow cachers, grab a smiley, and celebrate National Hot Dog Day 2014! FUN FACT: Hot dogs (which are also known as frankfurters, franks, wieners, dogs, and red hots) have been around since the late 1800s. Today, the National Hot Dog & Sausage Council estimates that Americans consume 20 billion hot dogs a year! This celebration is part of the NNJC "Just For Fun" event series dedicated to the best part of geocaching - sharing good times with great friends. So bring your whole family and muggle buddies alike to show them how much fun this game can be! 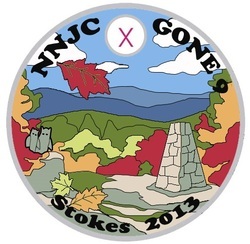 The 2013 C.T.T.S #10 Geocoin, only a few left! "Contact Us" if interested! Meet & greet your fellow cachers, grab a smiley, and celebrate National Catfish Day 2014! In recognition of the value of farm-raised catfish, the Congress...has designated June 25, 1987, as 'National Catfish Day' and authorized and requested the President to issue a proclamation in its observance. Now, Therefore, I, Ronald Reagan, President of the United States of America, do hereby proclaim June 25, 1987, as National Catfish Day. I call upon the people of the United States to observe this day with appropriate ceremonies and activities." If you are interested and available to present a Geocaching 101 program at Field Station Dinosaurs on Saturday June 14th for a minimum 4 hours to local Boy and Girls Scouts, please contact NNJC, through the contact us link! Thank you. 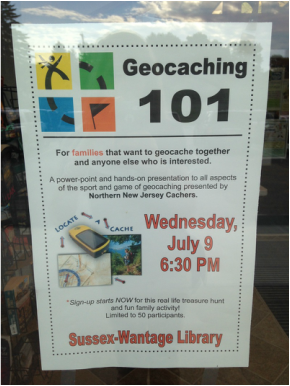 The Northern New Jersey cachers (NNJC) will be hosting a Geocaching 101 information seminar and Meet and Greet in partnership with The New Jersey Audubon's Scherman Hoffman Wildlife Sanctuary, where the new Scherman Hoffman Wildlife Sanctuary Educational GEOTRAIL will be launched. Everyone is welcome to attend! The Scherman Hoffman Wildlife Sanctuary geocaching project is an exciting partnership between New Jersey Audubon's Scherman Hoffman Wildlife Sanctuary and The Northern New Jersey Cachers, who were consulted to help develop and implement the new Educational Geotrail. Everyone is Welcome to join The Northern New Jersey's Cachers (NNJC) for a fun filled day of activities at the 2014 NNJC Spring Picnic and optional Great Swamp Scavenger Hunt, located at the Great Swamp National Wildlife Refuge, Helen C Fenske Visitor. Come and participate in the fun scavenger hunt with raffle prizes, while looking for new caches throughout the watershed properties, then hang out and enjoy the spring picnic food! CACHE PAGE WILL COMING SOON! EVENT LOCATION: Great Swamp National Wildlife Refuge, Helen C Fenske Visitor, 32 Pleasant Plains Road, Basking Ridge, NJ 07920 . Everyone who attends the event and logs it online earns this year’s 2014 CITO souvenir for their Geocaching profile. Pizza will be supplied for attendees, Please feel free to bring any beverage or food and snacks to share with you fellow Geocachers! NEW CACHES: Some new caches will be placed in the park, which you may be able to find once they are published. 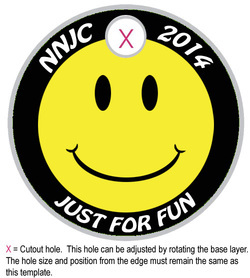 We are working on a NNJC MEMBER'S tab with lots of features for NNJC members. 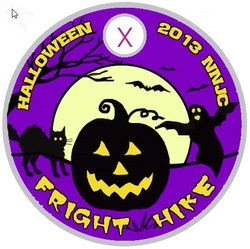 In the spirit of "Make Up Your Own Holiday Day," March 26 has been proclaimed "NNJC Day" in honor of the Northern New Jersey Cachers club that attracts thousands of fun-seekers, and has been promoting quality in the sport of geocaching for almost ten years. Everyone from NNJC members to folks who are interested in joining NNJC are welcome to attend this "Meet & Mingle," get a smiley, and help celebrate this very special day! This celebration kicks off the NNJC "Just For Fun" event series dedicated to the best part of geocaching - sharing good times with great friends. So bring your whole family and muggle buddies alike to show them how much fun this game can be! The new "JUST FOR FUN pathtags will be available soon too! Please mark your calendars for a fun filled Fall of Geocaching events! More information will follow about these Fall events, but mark your calendar! **We do need volunteers for the Halloween Fight hike event, please email me. as soon as we can get things fixed. If you are thinking about hosting an event or have a cool idea for a "Road Trip", we are working on some fun new adventures, please contact NNJC and we can work to fit it into the master calendar. We are always looking for volunteers! theme is "NJ's Mountains and Forests. the North East have come and enjoyed this camping event. scary haunted night hike and Halloween Event. JOIN NNJC AT BYRAM DAY!